Blommer offers a wide variety of milk chocolates and sugarfree milk chocolate flavored products to suit every application. Made with the finest cocoa beans and milk ingredients. Offered in a variety of flavor profiles, particle size, viscosities and colors to meet your every need. One of our finest milk chocolates manufactured with flavor-grade cocoa beans to create a mild chocolate flavor with pleasant creamy background. A robust milk chocolate manufactured to enhance European style with intense milk notes. Our most popular milk chocolate. A rich, full bodied milk chocolate with a pleasant caramelized flavor. Same Flavor as D-Milk with a note of vanilla. A sweeter milk chocolate with high chocolate character. Ideal for general usage. Same Flavor as Wisconsin with a note of vanilla. Sweet milk flavor ideal for enrobing, panning and hand dipping. 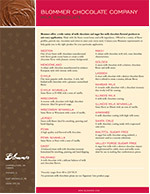 A high quality and flavored milk chocolate. Same Flavor as Penn with a note of vanilla. A balanced sweet milk with chocolate intensity formulated for enrobing, panning and hand dipping. A milk chocolate with a delicate balance of milk and chocolate flavors. A robust milk chocolate with rich, even chocolate characteristics. A sweet milk chocolate with a distinct chocolate flavor and milk notes. A sweet milk chocolate with a distinct chocolate flavor that is refined to create a creamy, delicate flavor. A versatile milk chocolate with a chocolate intensity that works well for coating. A mild milk chocolate coating. Same Flavor as Illinois with an note of Vanilla. A milk chocolate coating with high milk notes. 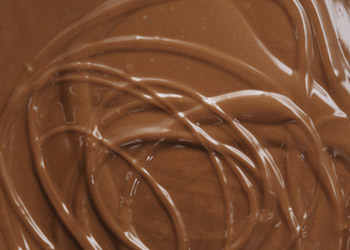 A milk chocolate coating made with evaporated cane juice. A sugar free milk chocolate using maltitol, a sweetener used as a sucrose substitute. A sugar free milk with a distinct chocolate impact complemented by subtle sweet and milky notes ideal for use in making fine confectionery pieces. > Download the data sheet for more detailed product information.